Clay County Sheriff’s Office gives a crime watch report for crimes committed in Clay County. This area includes Orange Park, Fleming Island, Green Cove Springs, Keystone Heights, and Penney Farms. 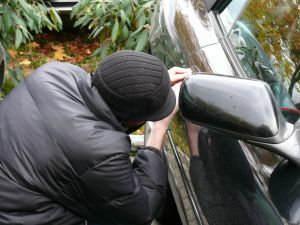 In a recent article, Clay County Criminal Defense Lawyer for Theft and Burglary, I set forth the Florida theft crimes in the area from August 24 – 26. This article has more information from the Florida Times Union. Here are the crime statistics for burglary to a structure in Clay County, Florida. This does not include Jacksonville theft crimes and Jacksonville burglary arrests, because the crime statistics do not cover Duval County, Florida. If you are being investigated for burglary or dealing in stolen property in Jacksonville or Northeast Florida, contact a Clay County attorney. If your child is being questioned by police, call a Jacksonville juvenile lawyer at 904-564-2525. You may call or email. Clay County burglary detectives will be investigating these allegations.